ghana Archives - Africa M.E. 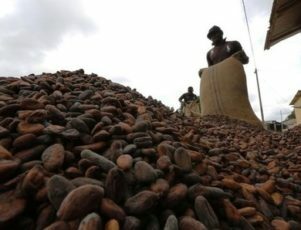 ACCRA (Reuters) – Ghana is seeking collaboration with Switzerland to boost its cocoa output and process more of the beans in the face of price volatility, President Nana Akufo-Addo said on Wednesday. Ghana, the world’s second largest producer and top grower Ivory Coast, which together account for more than 60 percent of the world’s cocoa supply, have been hit by a sharp drop in world prices that have seen cocoa futures plummet by around a third. While Ivory Coast responded by slashing its guaranteed farmgate prices, Ghana has maintained the price at which it buys cocoa from farmers since the season opened in October. Ghana exports at least 70 percent of its beans mainly to Europe through forward contracts. 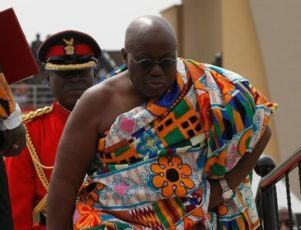 “Ghana, under my presidency, will no longer become mere producers and exporters of cocoa beans, and will continue the policy of processing more and more of our cocoa,” Akufo-Addo told reporters after a meeting with Swiss President Doris Leuthard in Accra. Both sides agreed to undertake joint projects to add value to Ghana’s beans, Akufo-Addo said without giving details. 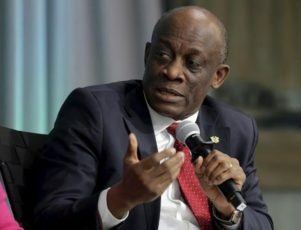 Ghana, which also exports gold and oil is under a three-year aid programme with the International Monetary Fund to restore fiscal stability to its economy, dogged by high public debt, deficits and consumer inflation. Nana Boateng Osei is the young man behind the stylish luxury eco-eyewear company: Bôhten. He hails from a Ghanaian family that is deeply proud of its heritage. He has travelled the world, conceived various outlandish business ideas and even appeared on the Canadian version of Dragon’s Den. Today his company Bôhten is going from strength to strength, while also giving back to his home country, Ghana. Osei’s early life certainly wasn’t dull. Due to his father’s job as a diplomat for the Foreign Ministry of Ghana, Osei and his siblings spent long periods of time in countries such as the U.K, the U.S, Yugoslavia and South Africa. His family eventually settled to live permanently in New York City. However, they held on tightly to their Ghanaian roots; Osei has said that at home his family would always speak Twi and eat traditional Ghanaian dishes. They became closely involved in the Bronx’s large Ghanaian community and retained strong links with family in their home nation. In 2007, Osei moved to Canada to study at Environmental Science at the University of Ottawa. It was while at University that he first began to create and pursue his own business ideas. In 2009, Osei opened a marketing firm Lilo Enterprises, which was designed to connect sustainable and environmental product manufacturers to consumers. Lilo foreshadowed the creation of Bôhten, highlighting the causes that Osei holds dear. He also flirted with other unorthodox businesses such as vertical gardens and limousine services during this time. In 2012 he started initial work on Bôhten while still at University. He derived the company from his own name, Boateng, which means prosperity in Twi. Osei got the chance to pitch his business in the infamous Dragons’ Den during a student special episode. While he impressed with his pitch, he didn’t receive an offer from the Dragons, who felt the business was too young. Osei wasn’t deterred by the Dragons’ decisions. He went on to bring family members into the business to help him grow the organization. Osei has said that with hindsight, investment partners may have stifled his creative freedom, and that the company has managed to move forward without them by knuckling down and getting things done. The exposure from appearing on the show led to skyrocketing sales and growth. Some say the Dragons missed out. Osei says that eye care is woefully inadequate in Africa. He explained that the high levels of UV radiation on the continent are responsible for some of the issues that African’s face. To combat such problems, Osei has partnered Bôhten with eyesight charity Sightsavers. 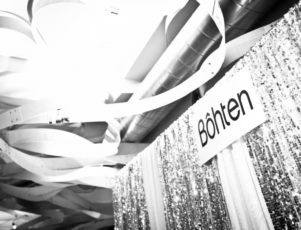 For every sale Bôhten makes, the company will make a donation to Sightsavers programs, aimed at eradicating avoidable blindness in West Africa. As Bôhten grows, so will the benefits that it brings to Ghana and other nations in the region. Nana Boateng Osei is tenacious, compassionate and conscientious individual; a great example for Ghana and Africa as a whole. Nana Boateng Osei and his company Bôhten have created an innovative and sustainable product that is benefiting his home country of Ghana. 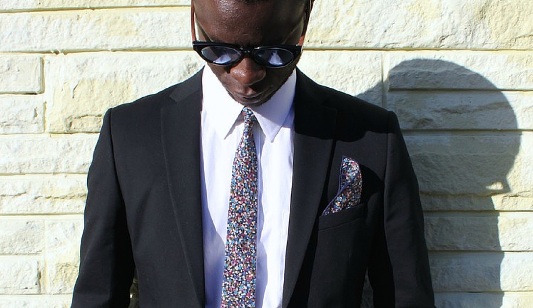 Nana Boateng Osei is the young man behind the stylish luxury eco-eyewear company Bôhten. He hails from a Ghanaian family that is deeply proud of its heritage. He has travelled the world, conceived various outlandish business ideas and even appeared on the Canadian version of Dragon’s Den. Today his company Bôhten is going from strength to strength, while also giving back to his home country, Ghana. In 2007, Osei moved to Canada to study Environmental Science at the University of Ottawa. It was while at University that he first began to create and pursue his own business ideas. In 2009, Osei opened a marketing firm Lilo Enterprises, which was designed to connect sustainable and environmental product manufacturers to consumers. Lilo foreshadowed the creation of Bôhten, highlighting the causes that Osei holds dear. He also flirted with other unorthodox businesses such as vertical gardens and limousine services during this time. Angola is the latest nation to seek an aid package from the International Monetary Fund as its oil-dominated economy falters. As its economy buckles under the weight of falling oil prices, Angola is turning to the International Monetary Fund (IMF) for a bailout. By one estimate, the West African nation faces a shortfall of $8 billion, or 9 percent of its gross domestic product, this year. Angola last borrowed from the IMF in 2009. Angola is one of several cash-strapped African countries that are turning to the IMF for financial help as prices drop for commodities such as oil and minerals. Ghana agreed to an aid package in 2015, it’s first from the IMF in six years. 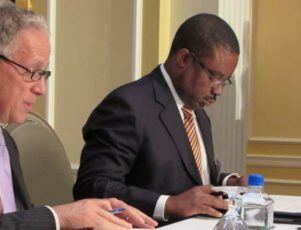 Zambia is also in talks for IMF aid, which would be its first since 2008. 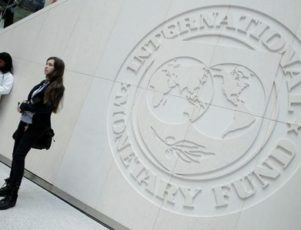 Zimbabwe has also asked the IMF for its first loan in nearly two decades. Meanwhile, the IMF stopped a $55 million loan to Mozambique – part of a bailout approved last year – after discovering the country had failed to report $1 billion in unreported loans it owes. South Africa and Nigeria may also be forced to turn to the IMF as their economies struggle. Angola’s request was an about-face after the nation repeatedly said it would not turn to the IMF for help in the current crisis because the aid would come with too many conditions. 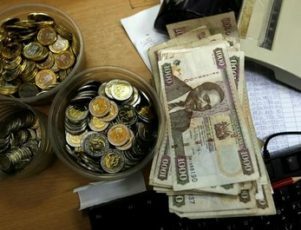 But the country’s reserves have fallen as oil prices stayed below $45 a barrel and the government is reluctant to cut services in advance of elections in 2017. Oil accounts for 95 percent of Angola’s exports and about half of the government’s revenue. In addition to slumping oil revenues, the country has suffered a retrenchment by China, which has its own economic problems. In exchange for IMF aid, the Angolan government is likely to be forced to be more transparent about its financial dealings as the international agency typically scrutinizes the finances of countries it assists. One criticism of Angola’s economy is the extent to which it is controlled by President José Eduardo dos Santos, who has ruled the country for more than three decades. While nearly half of the country’s population subsists on just over $1 per day, dos Santos’ daughter, Isabel dos Santos, is the richest woman in Africa, raising questions about the source of her wealth. Isabel dos Santos has denied using state money to enrich herself. “The IMF stands ready to help Angola address the economic challenges it is currently facing by supporting a comprehensive policy package to accelerate the diversification of the economy, while safeguarding macroeconomic and financial stability,” Min Zhu, IMF deputy managing director, said in a statement. One expert urged caution. 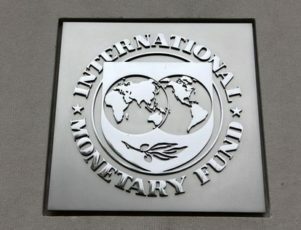 Ricardo Soares de Oliveira, an Angola expert at Oxford University, noted that a study in 2011 by IMF staff found that the government could not account for $32 billion between 2007 and 2010. “The IMF should use the leverage it has to extract serious concessions and tangible reforms from the government,” de Oliveira said. Angola is the not the only country turning the IMF. Ghana, an oil and gold producer, received a three-year, $918 million bailout in 2015. The country saw the value of its crude exports cut in half between 2014 and 2015, falling to $1.5 million in the first three quarters of last year as both prices and demand fell. Gold exports fell by nearly one third to $2.4 million. In December, the IMF also agreed to a $283 bailout loan package for Mozambique that required the southern African nation to disclose all of its borrowing. In April, the IMF said it stopped a disbursement of $55 million after learning the country had not reported millions in loans by Credit Suisse Group and the Russian VTB Group. Mozambique, a natural gas producer, saw exports fall by 14 percent in 2015. Zambia, Africa’s second largest copper producer, saw a shortfall of 8 percent of gross domestic product in 2015 and is also seeking IMF assistance in 2016. Zimbabwe also expects an IMF loan in the third quarter of this year. 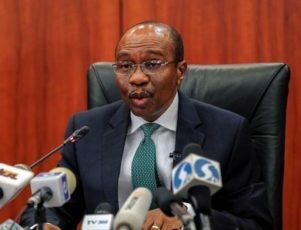 In addition to the IMF aid, the World Bank said it expects to lend up to $25 billion this year to countries reeling from falling commodity prices.